Bert Almon has won the Writers' Guild of Alberta Poetry Award twice and received the City of Edmonton Book Prize in 2008 for A Ghost in Waterloo Station. 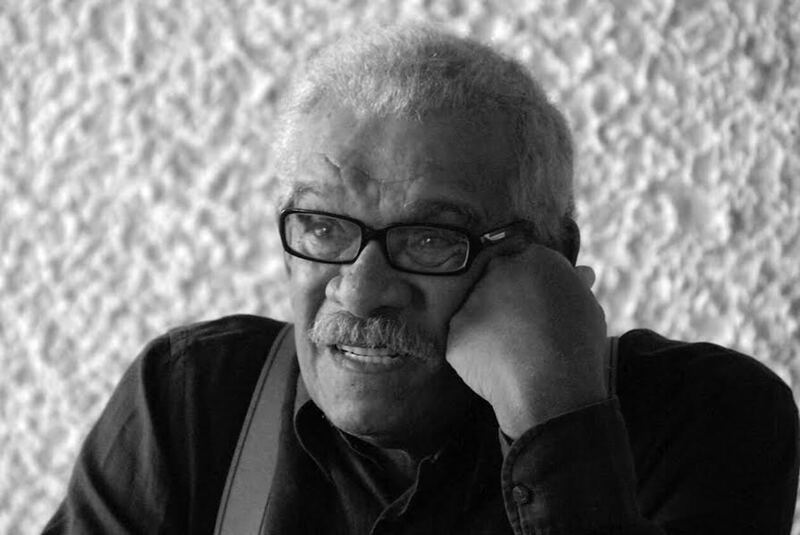 Nobel Prize–winning poet Derek Walcott died Friday, March 17, 2017. He was eighty-seven. Eight years ago, the University of Alberta decided to burnish its reputation by hiring Derek Walcott, winner of the Nobel Prize for Literature in 1992, under a newly-invented title, Distinguished Scholar-in-Residence. The appointment—spearheaded by political science professor Malinda Smith, as part of the university’s Caribbean and African Diaspora Initiative—brought him to the campus for six weeks each fall from 2009 to 2012, and there was a summer course on St. Lucia in 2012. The exact form the burnishing would take was handed over to the Departments of English and Drama, which were taken by surprise and given no guidance about the way to use this writer’s extraordinary gifts. As an admirer of Walcott’s work, and a creative writing teacher with thirty-seven years of experience, I was chosen to organize a creative writing course for him in the English Department. He was not a faculty member, so I would handle the formalities, like submitting marks, and I would work with him in the writing classes. I found that I was just as much an apprentice as the students. The appointment was announced May 1, 2009, and he would begin teaching in September. I wanted to plan a syllabus immediately, but had a very hard time reaching him to find out how he envisioned a creative writing course. His fax machine—there was no email account—was offline, and no one answered the phone at his home in St. Lucia. I wrote letters. Then packets. A postal clerk wept when she couldn’t find St. Lucia on her computer. “Is it a US island?” In August, a fax came from New York, where he was spending the summer. It was just a handwritten list of authors: he wanted me to order editions of Thomas Hardy, Edward Thomas, W. H. Auden, Hart Crane, and Philip Larkin. He also wanted to include George Meredith’s Victorian-era novel in verse, Modern Love, a book that I had never read. He did not include a creative writing textbook. Nor did he tell me what he would do in the course. I had a month to submit a rush order for books. Those who hold creative writing classes and workshops often talk of helping writers to “find their voice,” of empowering them, of giving them permission to write. I have heard writing teachers speak of providing students with “a safe place to write.” Derek Walcott offered students a dangerous place to write, and he taught them to find many voices, especially voices of the past. He was not in the business of signing permission slips. His partner, Sigrid Nama, who is the quintessence of tact and warmth, told me early on that “Derek can’t schmooze, can’t lie, and has no small talk.” Walcott’s idea of respect was to apply the highest standards as he understood them. One of his sayings was that “the beauty of verse is how hard you are on yourself.” But he could treat students with generosity. He liked taking his class out for dinner. When he taught a group in a summer extension course on St. Lucia in 2012, he gave the students workspace in his house and would take groups to the beach for painting lessons. He was shocked that I had enrolled thirteen students in our course: he had never taught more than six. He wasn’t sure about co-teaching and suggested that I just give out a reading list and explain the English Department’s regulations. After I did those preliminaries on the first day, he said that I could stay until the class break. At the end of the break, he told me to stay till the end. And then he suggested that I attend every class. I would pick him up at his downtown suite an hour before each class. I would try to talk about his plans for the students, but his very bad hearing was almost zero in the left ear. Getting into the building was hard for him: he had a lung disease, and his severe diabetes made it hard for him to walk. He should really have had snacks and water to control his blood sugar levels, but he didn’t believe it was seemly to eat or drink while teaching. In the last course, which he taught in 2012, I had to bring him to and from the class in a wheelchair. He assured me that I was the worst wheelchair driver he had ever met. Approaching the ramp out of the building, I knew that if I lost control I might enter literary history as the man who killed a great writer, one who had become a friend. He was a writer who still used a fountain pen and wrote his poetry and plays on yellow lined paper, to be transcribed into files by a series of students that he hired. There was no chance he would learn to use a computer or email, which would have made our work more efficient. He asked me one day in 2010: “What is Facebook?” The best way to answer that, I thought, was to take him to see The Social Network. At the end of the movie, he turned to me and said, “What is the value of Facebook?” I couldn’t answer. In 2011, he made an accommodation to the electronic era. He liked to introduce classes to Adam Zagajewski’s moving poem, “To Go to Lvov” and had us read it in unison. Then he asked Adam Wilson, “Could you make a recording of us reading it and send it to Adam Zagajewski as a gift?” The video gives a glimpse of him as a teacher. His co-teacher is sitting on Walcott’s right. The video maker is in the foreground. Most of the poems we memorized were metrical and rhymed because he believed that these practices are fundamental to poetry. He repeatedly said that forms actually free the imagination. He had advice for writers when metre falters: “If the metre peters out, stop. Solve the problem, it’s a gift of discovery. Start a new sentence.” As for rhyme, he stated that “every line of verse wants to rhyme. Every line expects to be coupled.” But he also said that “Rhyme is a precipice,” because you might not find the right rhyme. As for diction, he said this to Alycia Pirmohamed: “This is the work of the poet: finding the right word. It might take you days or weeks before it comes to you. The only advice I can give you is to find a high place with an open window, and walk towards it.” The Zen master with his stick came to my mind on some occasions. He wanted poets to do more than write the usual first-person present tense lyric so typical of our time. He had written brilliant narratives, like “The Schooner Flight,” “The Spoiler’s Return,” and the epic Omeros. He told us that “every art contains moral strength, and moral strength means narrative strength.” He wanted to revive poetic drama and made students try it. For all his commitment to metre and rhyme, he knew that writing poetry required more than a handbook of literary terms and spoke of “that delicate balance between conversation and artifice that is poetry.” He discussed the work of Hemingway (whom he considered a Caribbean writer!) as a kind of poetry. He observed more than once that the famous Hemingway style is “the achievement of someone from the other end of prose just arriving at poetry.” He advised us that “a rotation between poetry and prose” was good for practice in both forms. A special interest of his was the way that writers remade the accomplishments of the past. 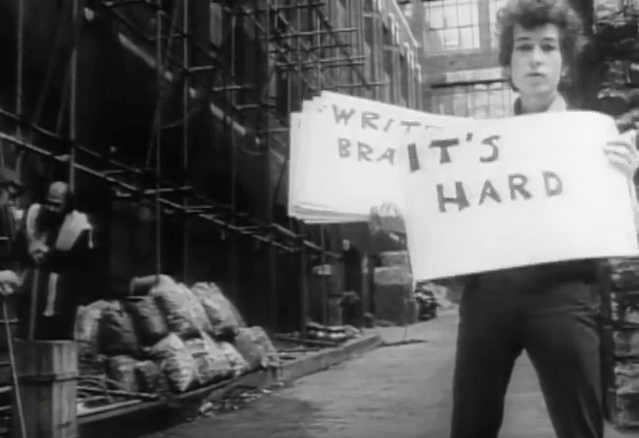 One day, he showed how the modern American poet Hart Crane transformed “the mighty line” of the Elizabethan playwright Christopher Marlowe into a tool for avant-garde lyric poetry, so that it wasn’t “English” any more. “He didn’t want the metre of Tennyson,” so he transformed a dramatic style into a new kind of American poetry. Classes usually began with a group recital of the latest assigned poem. Walcott would then discuss it without seeking much student input. But he would ask difficult questions. I was not encouraged to answer any because “you know too much.” He could lose his temper. During his commentary on Hart Crane’s long poem, The Bridge, several students pointed out that the portrayal of Native American life is often stereotyped, although it was meant to be favorable. Derek became angry, saying that he had loved the poem for many years and they were spoiling it for him. After class, he said to me, “White people cherish their guilt.” He repeated that sentence several times as we walked down the corridor toward the elevator. His written assignments were unconventional. At the beginning of the first course, he told students to take a passage from a work of fiction and turn it into a dramatic scene in a verse form of their own devising. Students found that assignment rather constraining and were more creative. When he returned the papers in class, he announced: “You all did the assignment wrong. My question for you is, are you ignorant, or are you arrogant?” And then he waited to the stricken group to answer. He repeated the question. No one looked up. The most original assignment was given to the class he taught in the autumn of 2012. He wanted a poem set in the nineteenth century, in four parts, three to four pages long. It had to be about a massacre and would deal with a frontier woman. The first section would be a verse narrative, setting the context. The second section was to be a selection from her journal, in verse or prose. “Continuous, not just jottings.” The third part would be a letter in verse from the woman to someone, perhaps a relative. The fourth part was to be elegiac, commemorating the woman in verse, and including a hymn sung at her funeral, “written by you.” The assignment was due in five days so that he could read and mark the works before the next weekly class. The results were extraordinary. Erika Luckert’s work was later published in Glass Buffalo and received a National Magazine Award nomination. His 2010 class was luckier: they were told to find out what a bestiary is and then write a Canadian bestiary. They were given more time to do it. The summer school class he taught on St. Lucia had to write sonnets on Robinson Crusoe and turn them into a book. Praise was rare, but in the middle of a searing discussion of a poem he could say, “What can you do with a line this good but steal it?” I remember a comment he made about his beloved Edward Thomas: “There is a temperature to his work. It’s as if it’s the first morning of poetry.” He looked for work so intense in feeling and perfect in form that it created the world anew so that the poet could meet it like a freshly created Adam. On the last day of the class he taught in 2011, he looked around with a wicked smile. “You don’t know how evil I am. Last night I lay awake recalling that I asked you to memorize Wilfred Owen’s ‘Parable of the Young Man and the Old.’ But I never asked you to recite it. Recite it now.” The class began to recite the poem before he finished speaking, and delivered it perfectly. He was suddenly in tears and had to dab his eyes with the corner of his book bag. He found it hard to speak. The moment had a certain temperature. It made a strong man melt. An earlier version of this article credited the University of Alberta Provost for bringing Derek Walcott to the campus. The Walrus regrets the error.